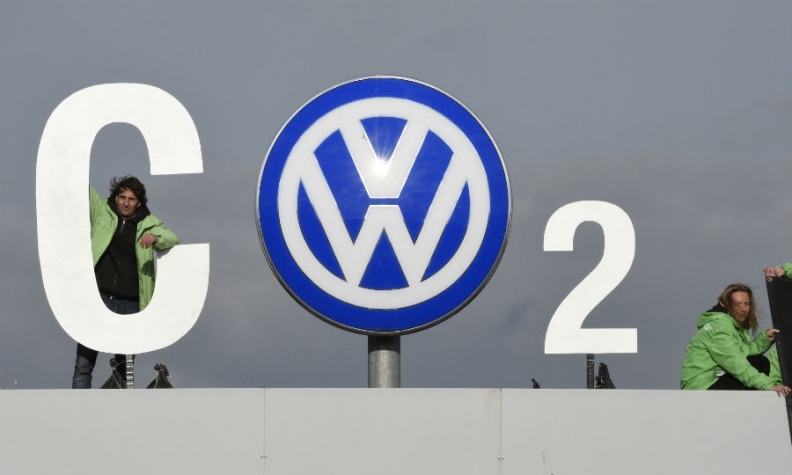 BERLIN -- Germany's motor authority raised suspicions that Volkswagen was using prototype vehicles to lower CO2 emissions in tests before the scandal was made public, the Berliner Zeitung newspaper reported. The newspaper quoted the Federal Motor Transport Authority (KBA) as telling VW in a November 2015 email it would choose test models randomly and appoint new external experts to carry out testing because of doubts about the independence of the company's CO2 testing regime. After evading scrutiny from regulators for years, VW admitted to the EPA on Sept. 3, 2015, it installed illegal defeat devices in nearly 500,000 2.0-litre diesel engines to fool U.S. emissions tests. The scandal became public around Sept. 18 of that year.